Nancy Rae Pryor was born on June 7, 1950, in Woodward, Oklahoma. 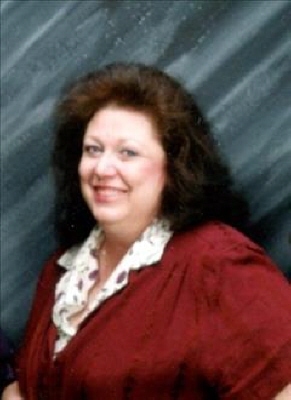 She attended Woodward Public Schools and graduated in 1968. She was involved in music and dance while in school. After high school Nancy took a gap year to work and decide what course of study she wanted to pursue. She attended the University of Oklahoma and was a member of Alpha Chi Omega sorority. Nancy was a charter graduate of the Dental Hygiene School at University of Oklahoma and graduated with her Bachelor of Science in 1972. She married John Pryor August 31, 1984, in Woodward, and they made their home in Woodward. John passed away suddenly in July of 1986, and Nancy remained a widow until her death. She worked as a Dental Hygienist in Woodward, Claremore, Tulsa, Pawnee and Oklahoma City throughout her career. She retired in 2012 in Oklahoma City and resided there in her own home for a few years and then moved into Southpoint Nursing and Rehab Care Center in 2015 after being diagnosed with Myasthenia Gravis. Nancy, a 68 year old Woodward native passed from this life on Friday, November 23, 2018 at Southpoint Care and Rehab Center in Oklahoma City. Nancy was gifted with many talents including singing, playing the piano and painting. She loved reading, shopping, decorating and collecting items. She studied the Bible and was involved in church activities. Visiting with family and friends brought her a lot of joy. Nancy loved animals, especially her dogs. Nancy was preceded in death by John Pryor, her husband, Hugh W. Robinson, Jr., her father and Juanita L. Robinson, her mother. She is survived by her sisters and their spouses: Pam and JC McCaskey, Enid, OK, Marsha and Tony DeFlumeri, Denville, New Jersey, Mary and Steve Klinger, Perry, OK.
Nancy is also survived by her nephews, nieces and their extended families: Jim, Maryann, Rachel, and Jimmy DeFlumeri; Anthony and Mary-Jessica DeFlumeri; Paige, David, Landon and Parker Douglas; Jill and Craig Mucerino and family, Justine and Brian Zimmer and family; Kristi, Austyn and Logan Singletary. In addition she is also survived by many cousins, other relatives and friends. To send flowers or a remembrance gift to the family of Nancy Rae Pryor, please visit our Tribute Store. "Email Address" would like to share the life celebration of Nancy Rae Pryor. Click on the "link" to go to share a favorite memory or leave a condolence message for the family.